Gerald Giam’s call for a better match between medical insurance premiums collected and payouts in claims has an opponent outside Parliament. 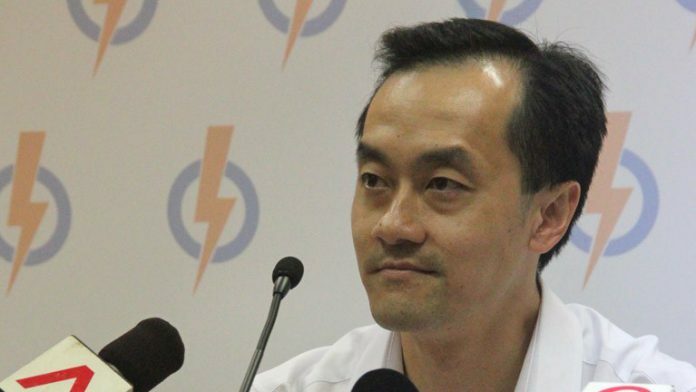 The defeated PAP candidate in the Punggol East by-election and medical director of Capstone Colorectal Surgery Centre, Dr Koh Poh Koon, said Giam had over simplified the issue and underestimated the cost of medical expenses in the coming years. “Can he predict the next targeted therapy for cancer coming out in the market? Did he know that 10 years ago we would be using PET scans today instead of just plain old X-rays?” asked Koh on his Facebook page. In his parliamentary speech, the NCMP from the Workers’ Party took issue with the MediShield scheme, saying it collected more premiums than it paid out in claims. He said that a not-for-profit social insurance scheme like MediShield (loss ratio 63 per cent) should not have a lower loss ratio compared to a commercial insurance scheme like ObamaCare (loss ratio 80 per cent). But Koh emphasised that the cost of medical advancement could not be predicted as easily as what Giam had assumed. But no patient would find it acceptable for doctors to revert to older technologies to save cost, he said. Many took to social media to comment on the issue. Agreed, the future cost of drugs and technologies cannot be predicted. So is the solution a mismatch between the premiums collected and the money paid out? There must be a way out of this ideological impasse. Can we have more views on this, please?